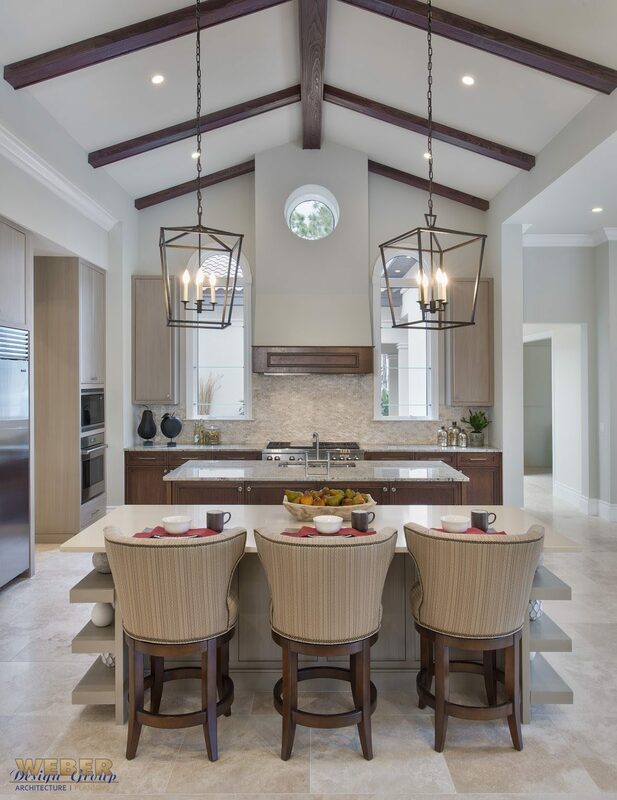 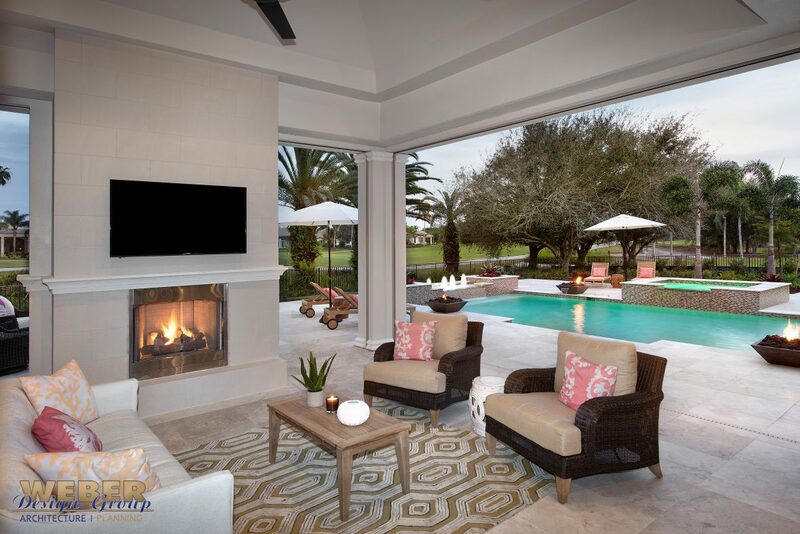 The great room layout of this single story, transitional Mediterranean home creates an open flow between living areas. 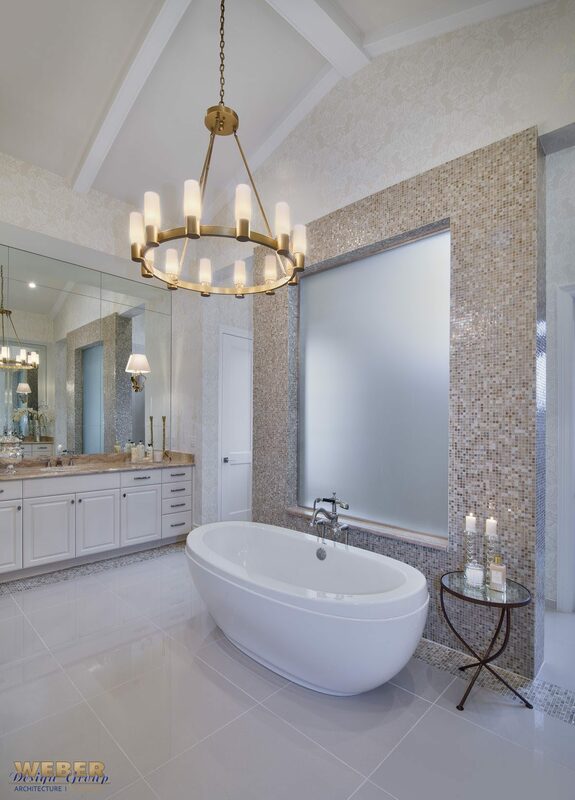 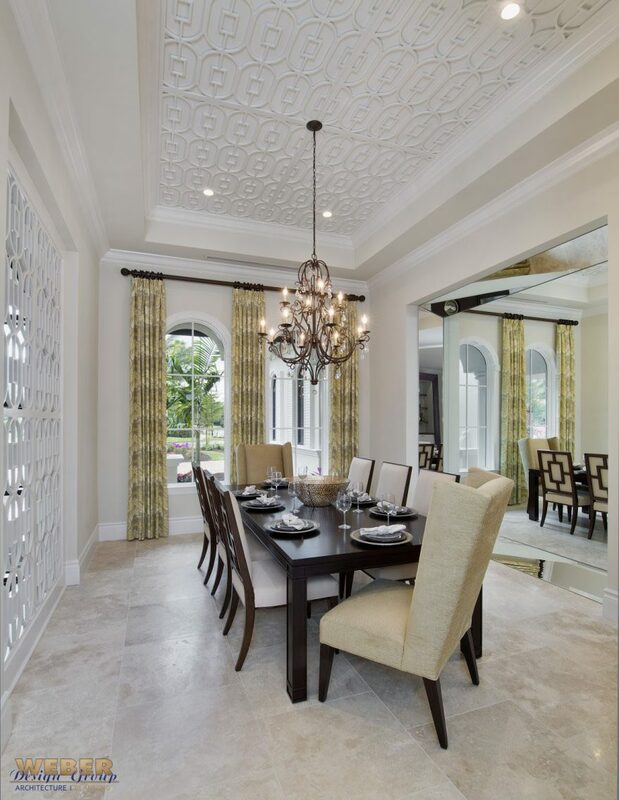 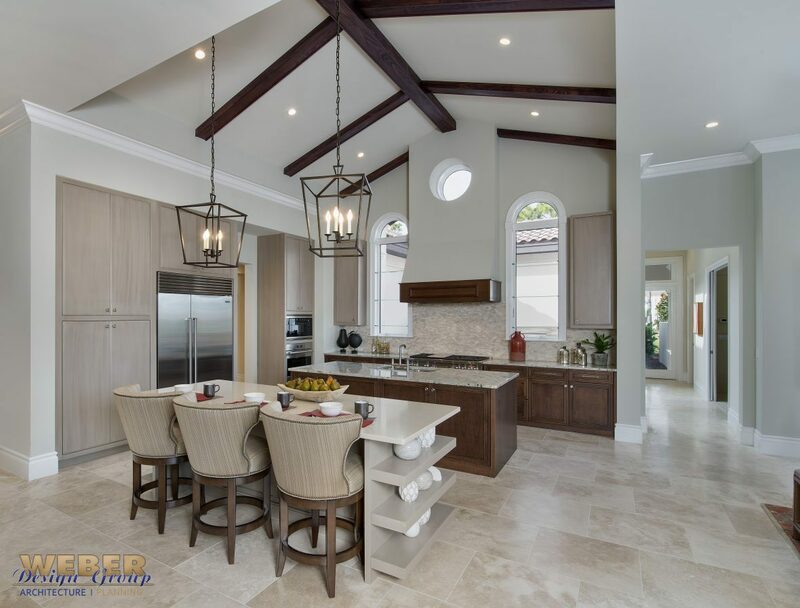 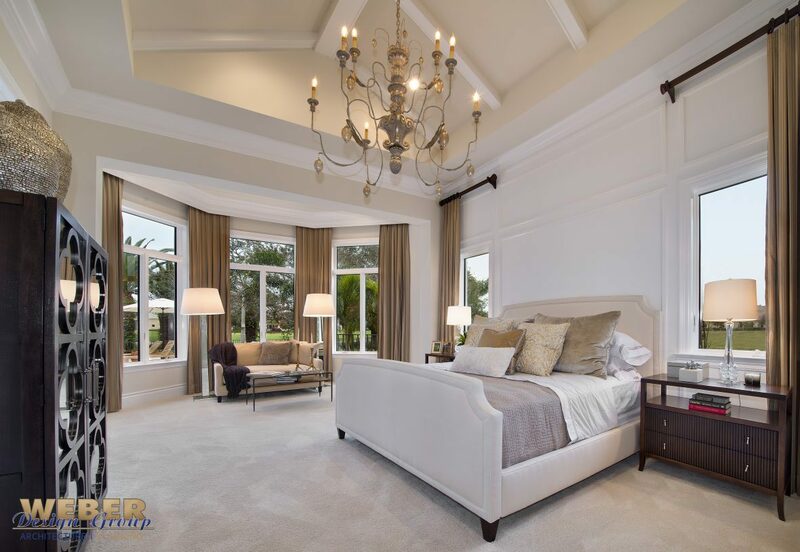 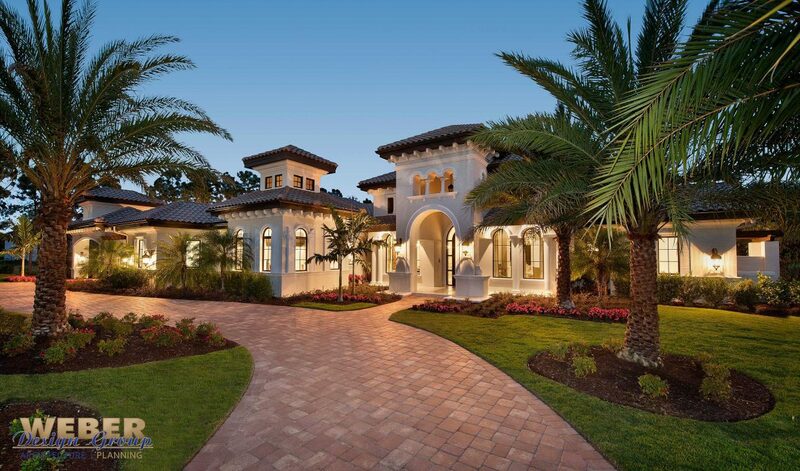 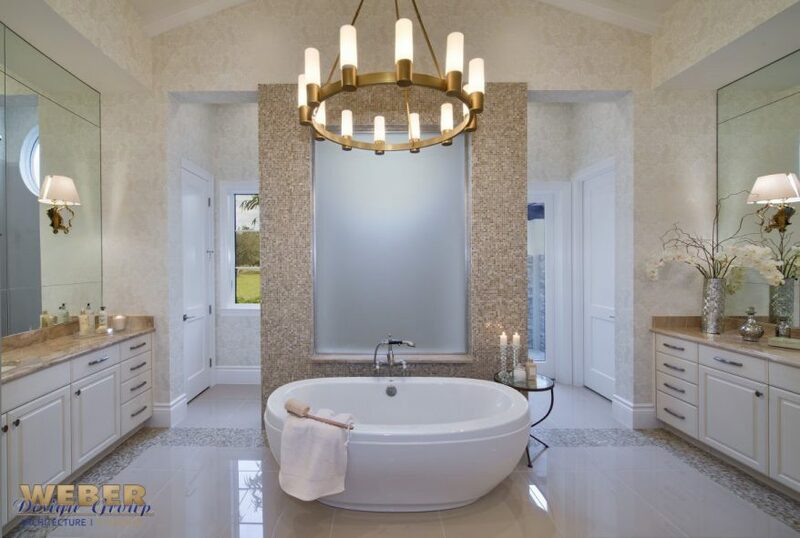 The floor plan includes 4 bedrooms, 4.5 baths, a large double island kitchen, formal dining room and a study. The courtyard design of the home seamlessly blends indoor and outdoor living. 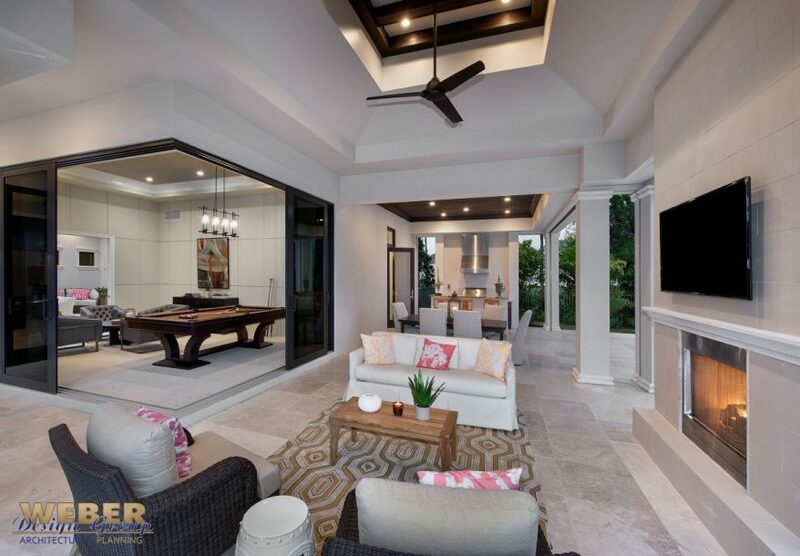 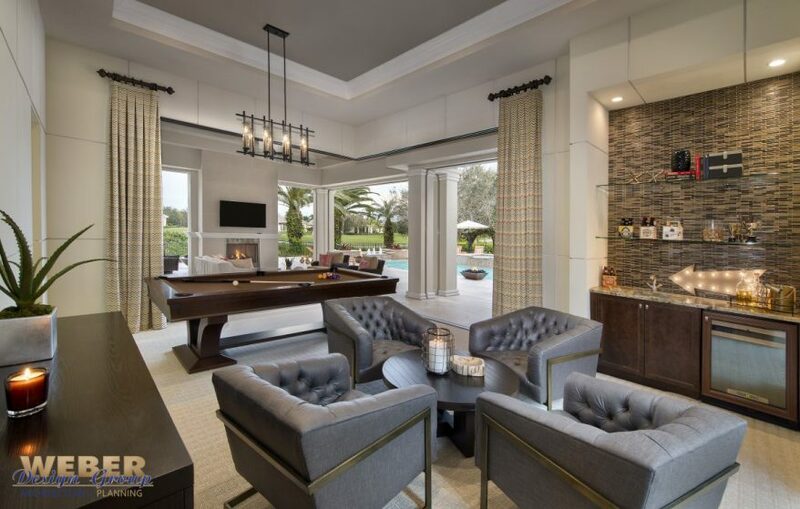 A game room and built-in wet bar opens up completely via pocketing glass doors leading to a comfortable covered lanai with an outdoor fireplace. 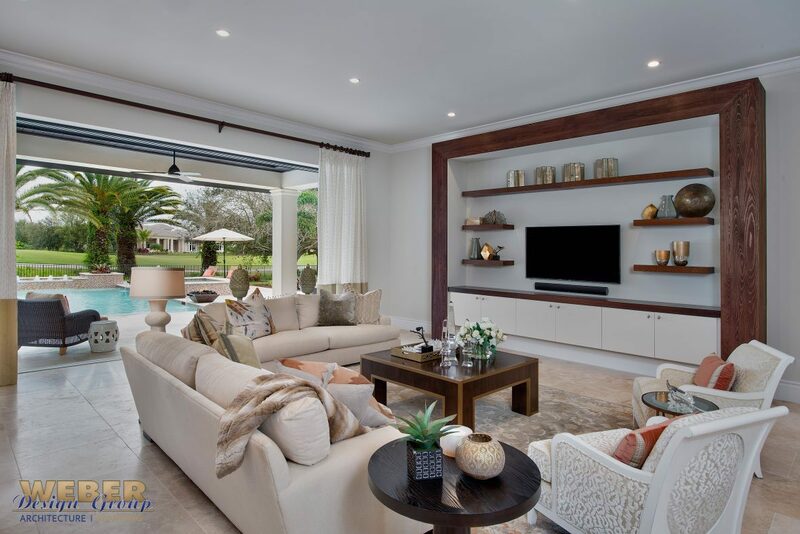 Beyond, is the lavish and inviting swimming pool and spa, more sitting areas and fire features all around. The motor court offers a porte-cochere, two separate two-car garages and a designated golf cart space.